I've been featuring late 20th c. artists lately. I LOVE featuring artists who worked in the same time period together. Today's 19th c. artist is Claud Monet (1840-1926). 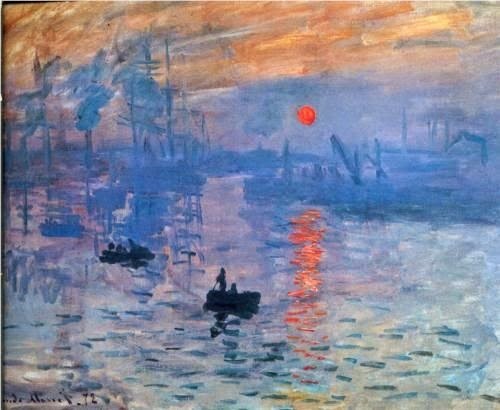 These are the images of Monet that I am particularly drawn to. 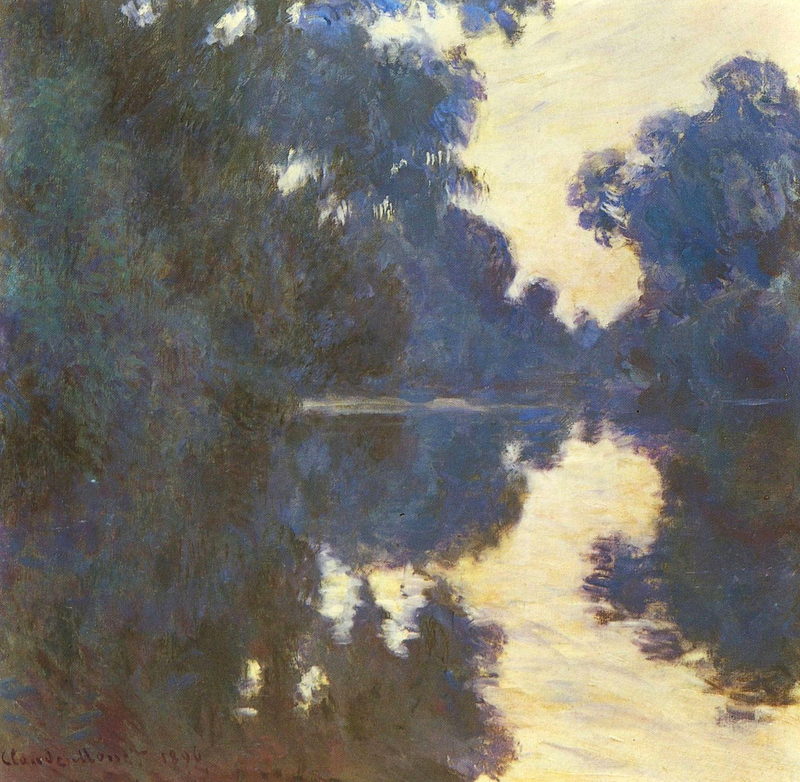 Monet's mastery of light is evident in his work. He is famous for painting the same scene multiple times and at multiple times of day, both to experience and to portray different lighting situations. 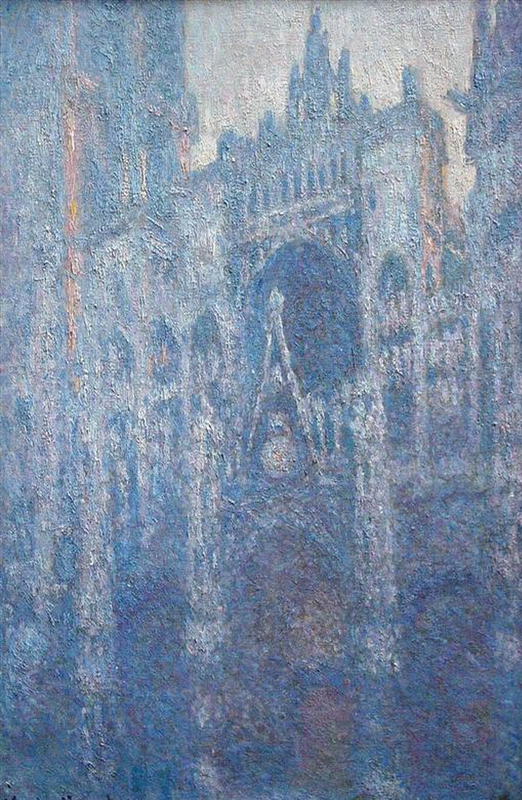 Monet's paintings of Rouen Cathedral is the perfect example, it has over 24 versions listed on WikiArt, and Monet's Haystack paintings are another example. The dedication, stamina and patience that painting the same scene over and over again is inspiring to me as an artist. It is also both a wonderful example and a beneficial exercise for the painter of how to study and learn about light. 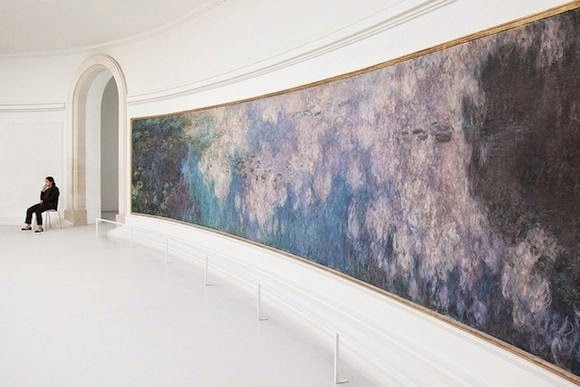 If you have a chance to visit France, I recommend viewing Monet's work at the Musée de l'Orangerie (pictured above), and the Muse d'Orsay both of which I have had the pleasure to visit. 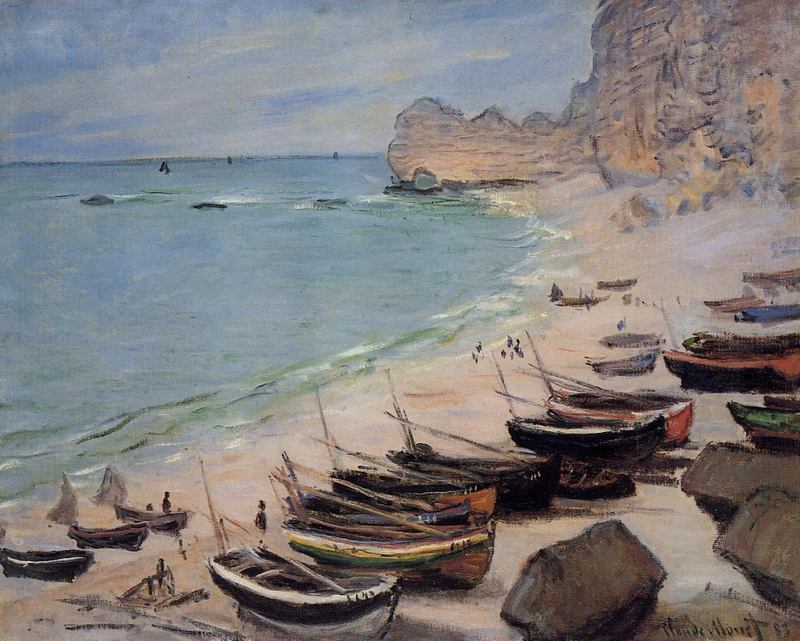 Additionally, the largest collection of his work is housed at the Musée Marmottan Monet. Read more about Monet on Wikipedia, and view more work on WikiArt. 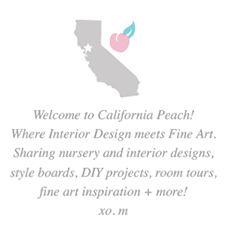 Visit the Studio Blog for fun Monet Inspiration for Littles! !